Easy to cut but hard to beat. Rigid foam can be cut quickly with a hand saw. Here it’s being used in our SuperAttic system to convert an unfinished attic into a well-insulated space. Rigid foam is a popular insulating product for its durability, high insulating value and versatility. Unlike fiberglass batt insulation, rigid foam boards never lose insulating value by settling or compressing. Foam boards shed water instead of soaking it up like cellulose and fiberglass insulation do and foam insulation won’t support mold or provide a home for mice, insects and other pests. Shepherd's Insulation installs rigid foam insulation for a variety of applications, including the attic, basement and crawl space. If you're interested in upgrading your house with rigid foam insulation, call us at 1-844-619-6803 or click the link below to request a consultation and estimate! We are the home insulation experts in Pueblo, Colorado Springs, Canon City and surrounding areas. Rigid foam insulation provides high insulating value with little thickness, but not all rigid foam performs the same. The experts at Shepherd's Insulation can help you choose the best rigid foam for the area of your house that needs insulating. Recognizing the critical role that rigid foam insulation plays in improving home energy performance, the Dr. Energy Saver network has developed its own brand of rigid foam insulation. SilverGlo™ insulation can be used to insulate the crawl space or basement, as well as for insulating an attic or garage. The foam boards are easy to cut and install, reducing the time it takes for your insulation work to be completed. Each board also has a reflective coating that acts as an effective radiant barrier. A 2-in.-thick board is rated at R-9, or R-11 if there’s an air space adjacent to the radiant barrier. Thicker boards are also available for applications where more R-value is required. By taping the seams between the boards, our technicians create an effective air barrier, providing yet another energy-saving feature. For homeowners looking to insulate their basement and and brighten its appearance, Foamax® wall insulation is a great option. Foamax® is an advanced polyisocyanurate foam insulation panel with white foil finish on the front and foil vapor barrier on the back. Foamax® provides excellent insulation value, making your basement warmer and paying for itself over time. Additionally, Foamax® can be left exposed and has a visually appealing finish, though a finished wall can easily be added over it. With Foamax® installed on your walls, you can count on a warmer, more comfortable, and more efficient home. As a Dr. Energy Saver dealer, Shepherd's Insulation has exclusive access to this innovative foam insulation product, as well as many other quality insulation materials. We would be happy to discuss which rigid foam insulation product would be the best solution for your home. Simply request an estimate to upgrade your insulation. 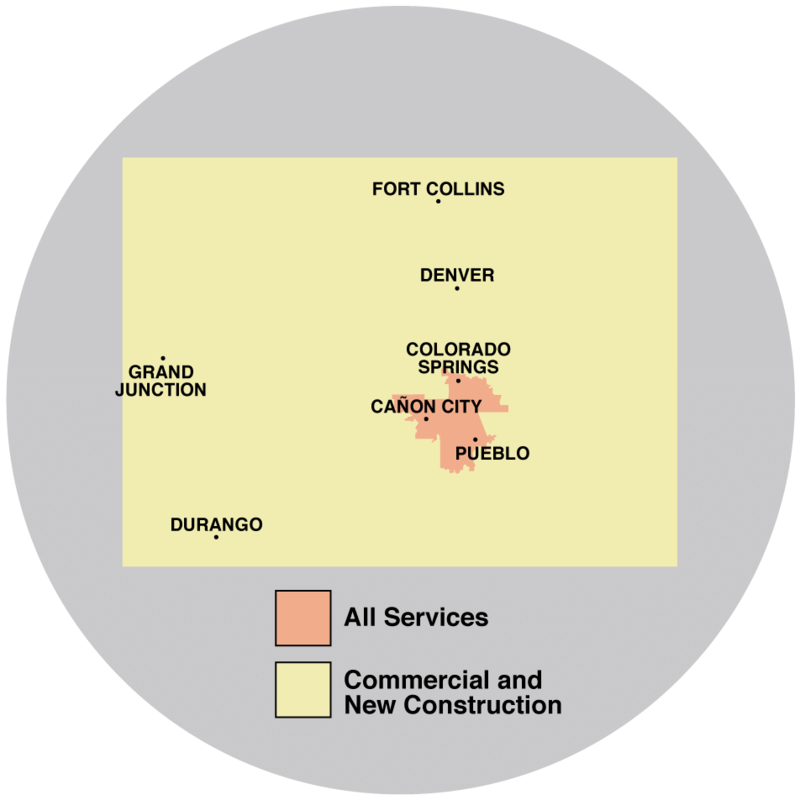 We provide complete energy-efficiency improvements and insulation services in Pueblo, Canon City, Colorado Springs, Florence, Fountain, Cascade, Penrose, Rush, Yoder, Manitou Springs and many nearby areas.